Imagine you have just had surgery on your hip after a bad fall. You’ve been in hospital recovering and you’ve been told you mustn’t put any weight on your leg. You are ready to go home, and you can’t wait to get back, make your own dinner, see your friends, go to the shops. With your crutches in hand and longing for home you’re on your way … but it’s much harder than you expect and you realise crutches aren’t such a suitable aid for you. You try to explain this, but are simply told that is all that’s on offer. Gradually you realise you are going to struggle. Many people just accept that they are stuck at home, maybe unable to get out, unable to go to work, dependent on others, and for some facing days or months of isolation, loneliness and even depression. However, here at the Red Cross we have a solution that’s made a big difference to possibly millions of people – a wheelchair. At the Red Cross we’ve been loaning them since the First World War. Last year we loaned 5,600 short-term wheelchairs in Scotland and almost 60,000 across the UK. Everyday our volunteers hear what a huge difference our chairs can have. By providing this service we’ve learned the needs people have, the gaps in provision and ultimately the large number of people who could benefit from a short-term wheelchair, but for a number of reasons don’t access one. Currently there is no clear duty on either the NHS or health and social care partnerships to provide short-term wheelchairs. NHS wheelchair services have obligations to meet long-term needs, but are not required to meet short-term needs, usually defined as less than 6 months. The Scottish Government reviewed wheelchair services in 2006 and published an Action Plan 2009. However the criteria for accessing wheelchair services was set in legislation 40 years ago. Much has changed in people’s lives, our NHS and social care system. The rights people have to access support have also seen a sea-change towards inclusive services. We recently undertook research exploring the unmet need for short-term mobility aids. In Scotland out of the five NHS wheelchair centres, only one meets short-term need, while two others consider providing wheelchairs in clinical or end of life cases, but generally do not offer short-term provision. The main reason they cite for not doing so is that they have no statutory duty to do so. 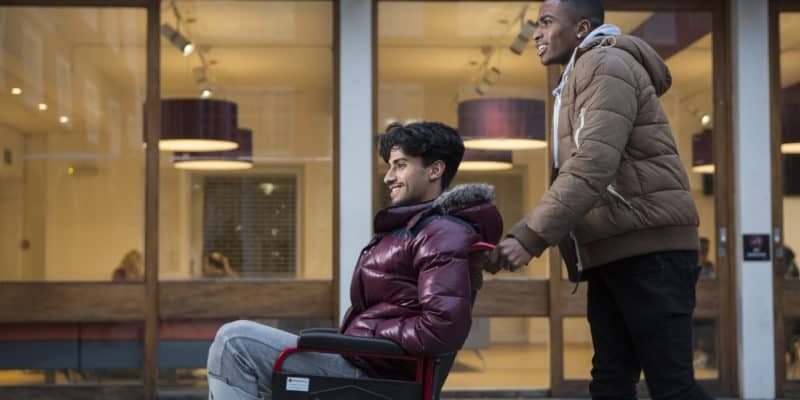 This research, Maintaining mobility conducted with Kantar Public found that an estimated 4.3 million adults in the UK (eight per cent) may have benefited from short-term a mobility aid, such as wheelchair, in the last 12 months. It showed not accessing a wheelchair had considerable negative effects on people, their family, friends and carers and the wider health and care system, and concluded that the current system is failing people. Reform is needed. That’s why we are calling for a change to ensure everyone who needs a wheelchair is able to get one quickly and easily, for as long as they need it. Ultimately, we would like a statutory duty for short-term wheelchairs in line with long-term provision. In the meantime, we are calling upon the health and care sector to better understand the needs of people with short-term mobility issues and improve the provision of short-term wheelchairs at a local level. Our research shows that no-one should be denied a chair just because their problem is viewed as temporary. It’s now time to let the brakes off.